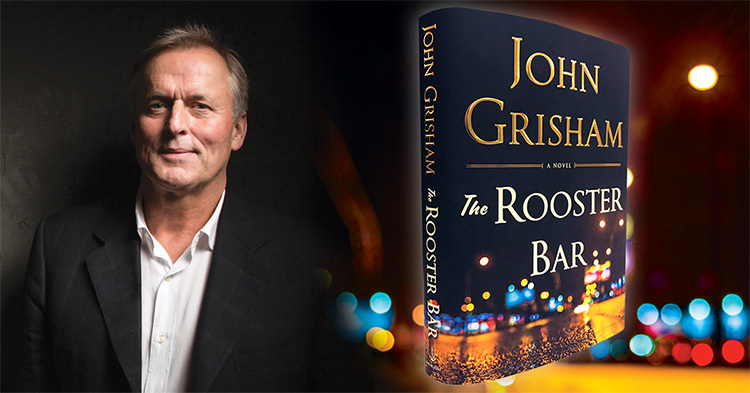 I’m hitting the the road again, visiting 7 cities this October and November to launch my new legal thriller, THE ROOSTER BAR! Author guests will include Emma Straub, Amor Towles, Hampton Sides, Candice Millard, David Baldacci, Clare Vanderpool, and Sue Grafton. Ticket info/links are below. Please note all copies of THE ROOSTER BAR will be pre-signed. There are NO autographings at the events.